Set against lush jungle forest and the sparkling waters of the Pacific Ocean, The Westin Playa Conchal is home to 406 spacious rooms, a lagoon-style pool, tennis courts, eleven eateries, a spa, and much more. Its immaculate verdant gardens are a haven for wildlife and guests can often spot monkeys, iguanas and coatis exploring the grounds. The all-inclusive package includes lots of treats and the resort's friendly staff go above and beyond to ensure you enjoy the perfect stay. Families are well catered for with a complimentary kids’ club. Watch the video and see for yourself. The resort is located in tranquil Playa Conchal, in Costa Rica’s stunning North-Pacific Riviera. The traditional fishing town of Brasilito is just a ten-minute walk away. There are a number of national parks nearby. Each of the light, bright and spacious guestrooms can accommodate up to four guests and come equipped with a host of modern amenities. Guests can enjoy air-conditioning, a living area with seating and a LCD television and a daily-stocked minibar. The en suite bathrooms feature a hair dryer and luxury complimentary toiletries. The private balconies and terraces are idyllic spots to soak up the sun and watch the resort’s resident wildlife. Guests staying in one of the adults-only Royal Beach Club rooms or suites are granted a number of extra-special privileges, including upgraded amenities, private check-in, premium internet access, preferential reservations for restaurants, spas and excursions, access to the private Royal Beach pool and personal concierge services. Those travelling with children can take advantage of the Family Club services by staying in one of the Family Rooms. Your room will be stocked with kid-sized bathrobes and slippers, a personalised minibar and video games on request. Royal Beach Club Room: 474 square ft. Features upgraded amenities such as a rain shower head and luxury bathroom amenities. Enjoys views of the verdant gardens. Deluxe Junior Suite: 538 square ft. Enjoys views of the verdant gardens. Deluxe Junior Suite - Golf View: 538 square ft. Enjoys views of the golf course. Family Junior Suite 538 square ft. Enjoys views of the verdant gardens. Premium Junior Suite: 699 square ft. One of the best located rooms on the property, located near the resort’s activities and services. Enclosed terrace or balcony overlooks the gardens. Royal Beach Club Suite: 990 square ft. Equipped with its own private outdoor tub. Enjoys views of the verdant gardens. Luxury Villa Suite: 1,162 square ft. Master bathroom is equipped with a private jacuzzi. Enclosed balcony enjoys ocean views. The expansive beach resort is home to five different bars, serving up drinks and snacks in a warm and welcoming atmosphere. The Triton Pool Bar and exclusive Nautilius Royal Beach Club Bar feature swim-up seating, so you can stop for refreshments while swimming a few laps. Enjoy beer, wine, cocktails, juices and more as part of the all-inclusive package. With eleven onsite eateries, The Westin Playa Conchal plays host its own exciting dining scene. Guests can choose from an international buffet, wood-fired pizza joint, elegant Asian restaurant and more. The resort also offers 24-room service. Bamboo Asian Fusion Restaurant: Asian cuisine served in a refined environment. Open for dinner. Reservations required. Catalinas: Signature Restaurant: Fine international cuisine served in an elegant environment. Open for dinner. Manglar Mediterranean Restaurant: Mediterranean cuisine served in a romantic environment. Open for dinner. Reservations required. Faisanela Italian Restaurant: Italian cuisine served in a chic environment. Open for dinner. Reservations required. Mitra International Buffet: International cuisine served in a relaxed environment. Open for breakfast, lunch and dinner. Spirula Pizza & Pasta Corner: Italian cuisine served in a casual environment. Open throughout the afternoon. Caracola Poolside Restaurant: Latin American and Spanish cuisine served in a lively environment. Open from 11:30 AM till 4:00 PM. Las Candelas: Latin American cuisine served in a cosy environment. Open for dinner. Reservations required. Cauri Lobby Bar & Bistro French cuisine served in a sophisticated environment. Open for dinner. Reservations required. La Sabana: Local cuisine served in an easy-going environment. Open for dinner. Reservations required. El Ranchito: Barbeque food served by the pool. Open for lunch. The lively dining scene is complemented by packed schedule of after-dark entertainment. Live performances include fire shows, karaoke, professional musician appearances and lots of dancing. There’s plenty to keep guests of all ages and interests entertained at The Westin Playa Conchall. Challenge a friend to a game of volleyball or tennis, swim a few laps, cycle around the resort, hit the beach and try out some water sports or simply relax on the sand. There’s even an 18-hole championship golf course just minutes away from the hotel (not part of the all-inclusive package). Families’ can make use of the resort’s kids club, where younger guests can take part in organised activities and lessons, play video games, watch films or burn off some steam at the two outdoor playgrounds. Offering massages, facials, scrubs, wraps, and more, the resort’s world-class spa is a sanctuary of calm where you can unwind and be pampered by highly-trained therapists. The extensive menu is varied and indulgent – including a massage especially for golfers and a caviar facial. You can also enjoy poolside massages or let water work its magic in the hydrotherapy jacuzzi. An extensive resort with a beautiful setting, The Westin Playa Conchal has everything you need for your dream day. Whether you want to celebrate your love with an intimate beach ceremony or a lavish party on the tropical grounds, their wedding coordinator will make it happen. There are nine event venues to choose from, including both indoor and outdoor options. The largest space can accommodate up to 800 guests. Costa Rica’s renowned beauty and warmth of spirit collide in this spectacular beachfront resort. Providing the opportunity for romance, relaxation and revelry, The Westin Playa Conchal is the perfect destination to unwind. 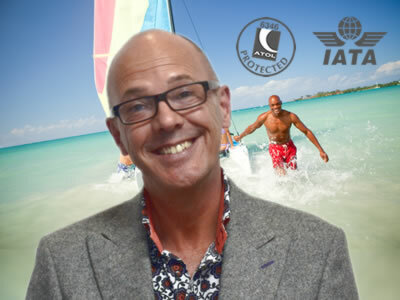 We are ATOL protected specialists. Your holiday is safe in our hands. Our experienced travel consultants will answer all of your questions in no time. The staff at this hotel ARE AMAZING. We have been to many resorts, most all inclusive, and have never been treated as kindly as we were in Costa Rica. The facility was beautiful and clean. Many activities to choose from-fitness cooking, dancing, kayaking,etc. Gorgeous pool and beach. Many restaurants to choose from and the food was delicious. The resort was beautiful; lots of greenery, shade coverage. There was plenty of wildlife( tons of birds, a good amount of iguanas, and some monkeys) to keep you entertained. 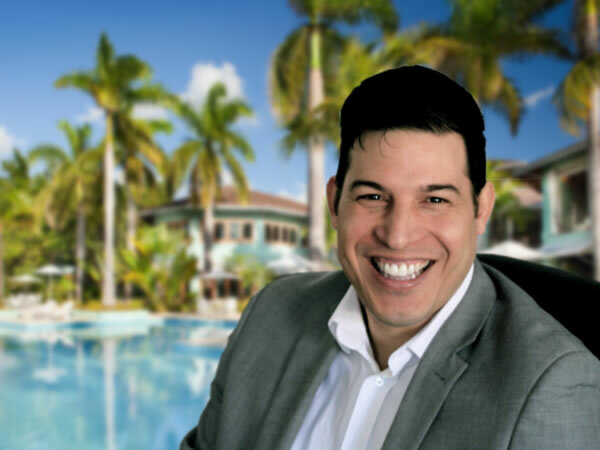 Our Friendly Team of holiday experts is just one call away. Sometimes a beach holiday or a package deal just won’t cut it. That’s why we at Travel Direct are all about flexibility and customisation. If you would like us to create a tailor-made itinerary built from scratch around your time, interests and budget, please get in touch with one of our travel specialists - we'll send you a free itinerary and quotation in a jiffy. Specialist holiday experts | Authentic travel experiences. We provide full financial protection for your money. ABTA No. Y6442. Travel Direct is an IATA Accredited Tour Operator. Independent, unedited Travel Direct reviews provided by Feefo, the Global Feedback Engine.